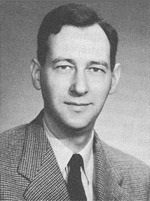 Their statements reflected the uncertainties faced by economic theorists in the early 1950s. Pathbreaking contributions piled up in these years (proof of the existence of GE, game theory, rational decision under uncertainty), but the financial situation of the research bodies which produced them was far from secured. 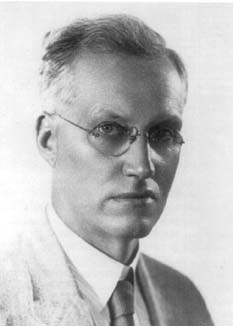 Cowles had just reoriented its research program from empirical work to theoretical investigation of decision, changing its motto from “Science is Measurement” to “Theory and Measurement,” but Marschak nevertheless instructed Koopmans to downplay the theoretical dimension of their project in his negotiations with the largest patron for economic research, the Ford Foundation. Marschak and Koopman’s skepticism was endorsed by French Polytechnicien René Roy and by Berkeley mathematician Griffith C Evans’s. 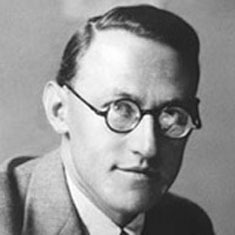 Swimming against the formalist tide, Evans had been an early advocate of measurable or quantifiable mathematical models. He nevertheless rejected Morgenstern’s suggestion – he too believed that some division of work should be preserved: “they are problems, e.g. the theory of money, in which statistics seems to play a secondary role,” he wrote in a (not so visionary) response. It was the discussions surrounding the rise of empirical work in economics and the recent pushback against the credibility revolution that brought me back to Morgenstern’s vision. 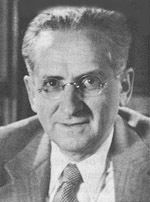 In 1953, he claimed that empirical work was so crucial for the development of economics that no ES fellow should dispense with it. At the same time, he believed that scientific observation was necessary theory-driven. He acknowledged that the growing use of computer would throw economics into a period of data-driven analysis of new phenomena, but he believed such evolution to be transitory. His views challenge the optimism of randomistas and machine learning apostles and the skepticism of those who think data are mediated by theory. It questions the significance of neat categories such as inductivism and deductivism to describe the dynamics of economic knowledge. If “this time, it’s different,” then a better depiction of the transformed theory-data relationships emerging from new instruments, research designs, and algorithms is in order. Note: These archives were unearthed from the AEA archives by Matt Panhans and John Singleton . Together with many other ES gems, they are visible here. A comprehensive history of ES fellowship by Olav Bjerkholt is available here.